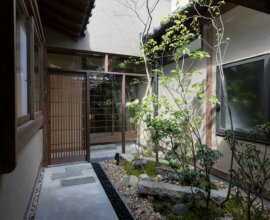 Inner garden with Japanese 'kikuzumi' A special feature of this garden is the 'kikuzumi', flower-like oak charcoal used in tea ceremonies. 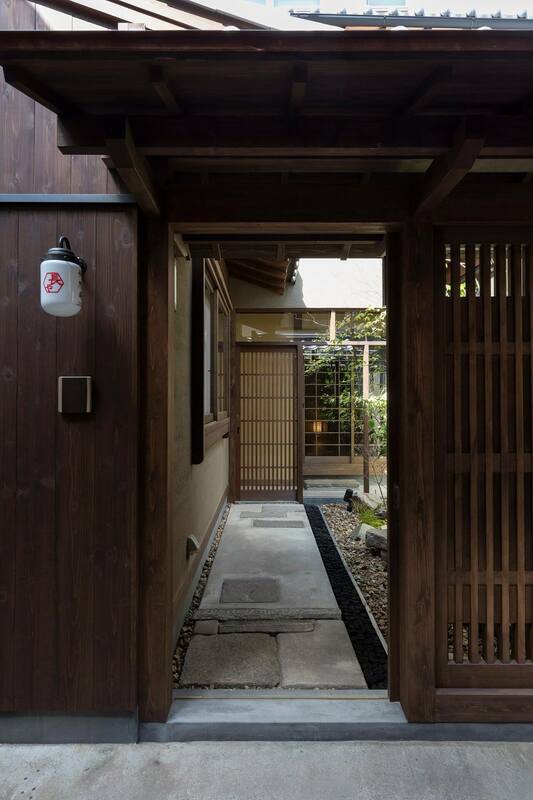 The 'kikuzumi' catches water droplets, which are then dispersed to water the garden. 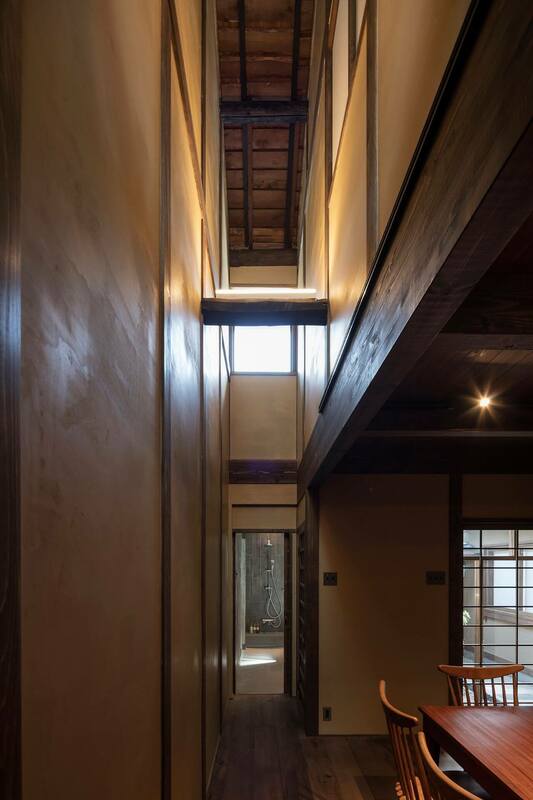 Open living space With its earthen walls and beautiful woodwork, appreciate the traditional design and architecture of this wide and spacious room. 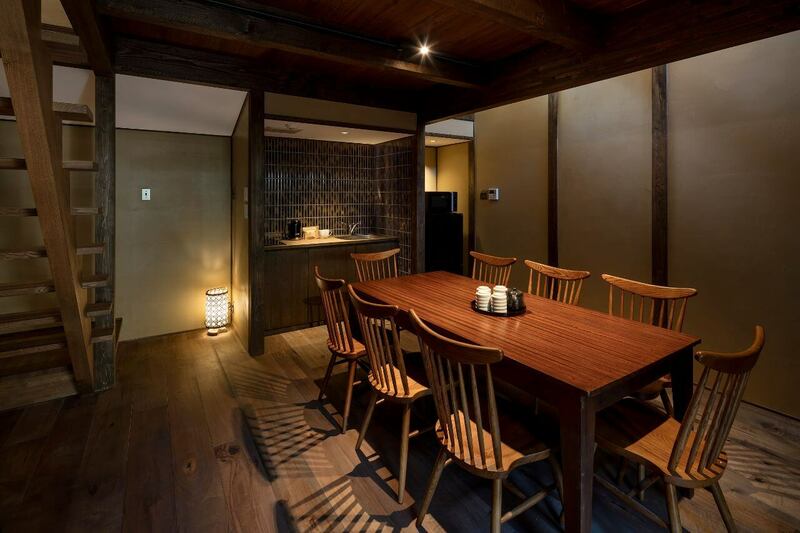 Dining area and kitchen Gather with your guests at the wooden table. 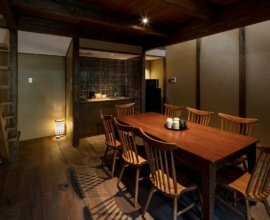 Feel free to use the kitchen to prepare a meal when you would like to spend a relaxing morning or evening at your machiya. 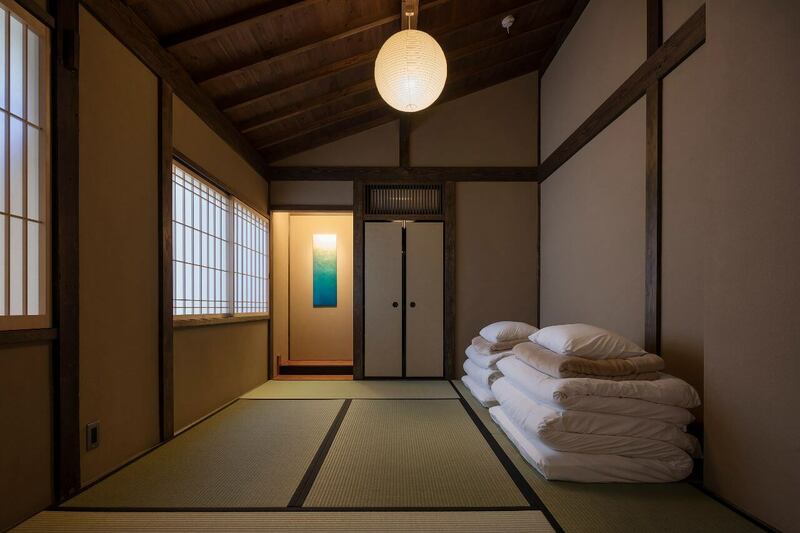 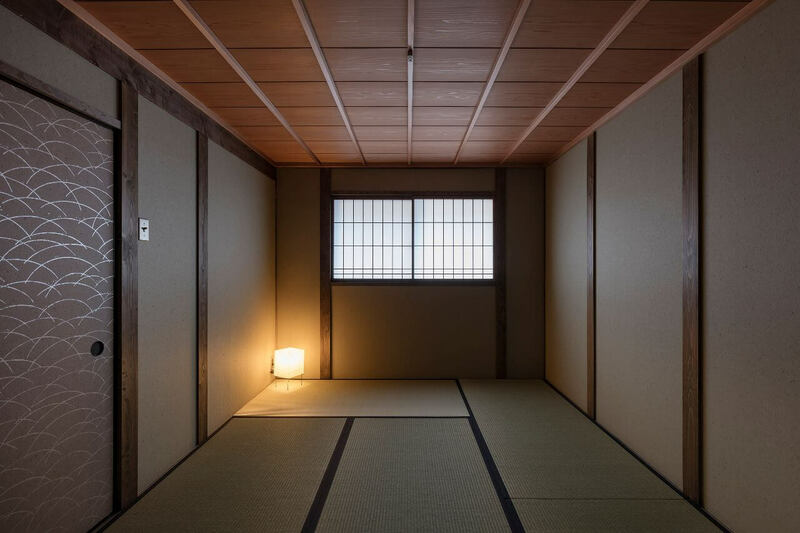 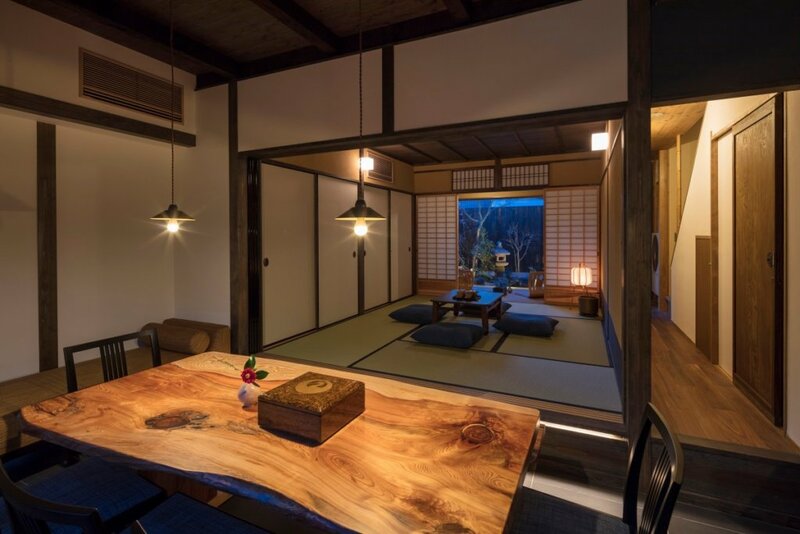 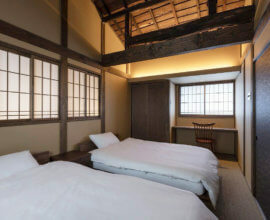 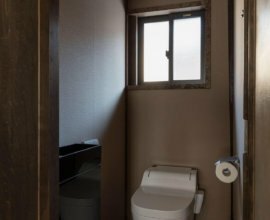 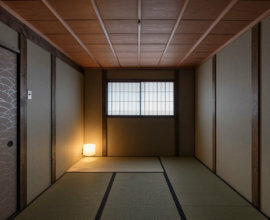 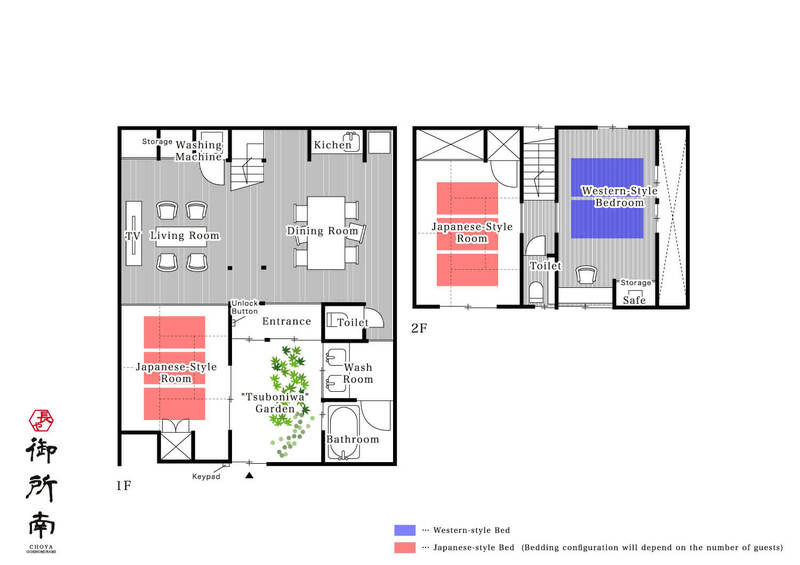 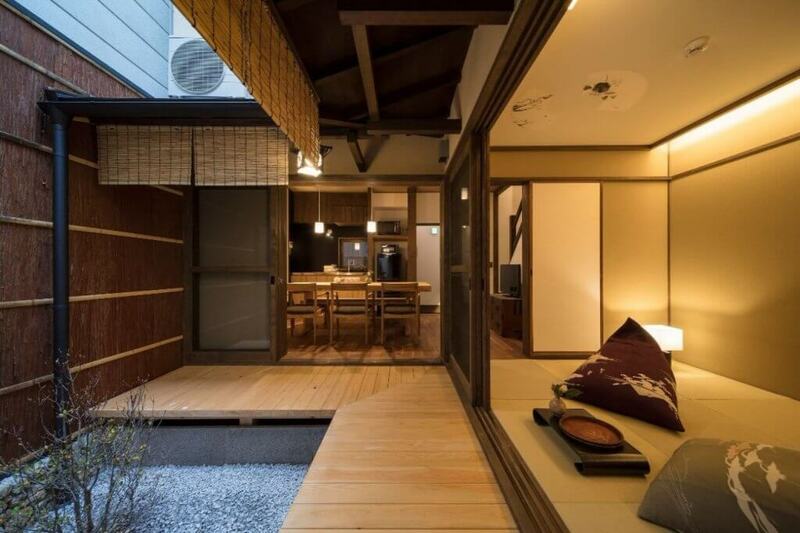 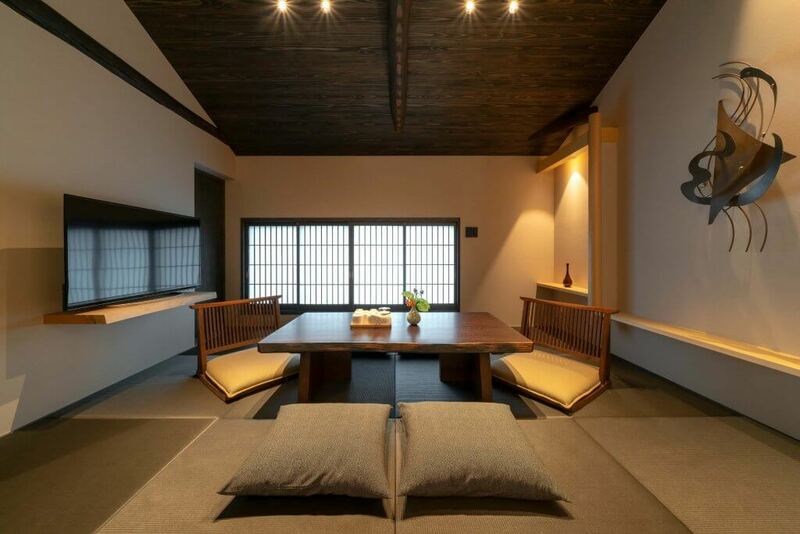 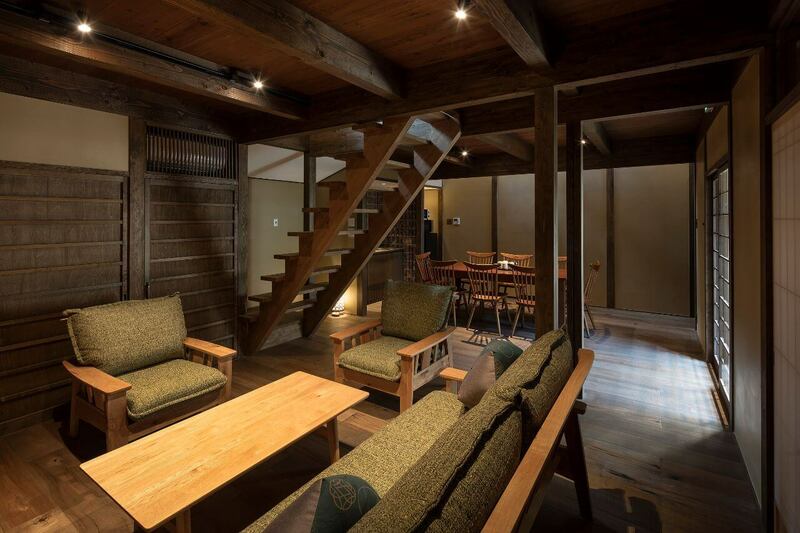 Two Japanese-style bedrooms Discover features of a tea ceremony room here. 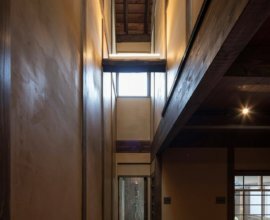 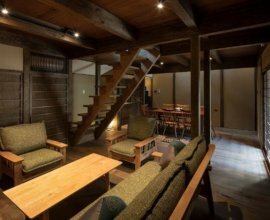 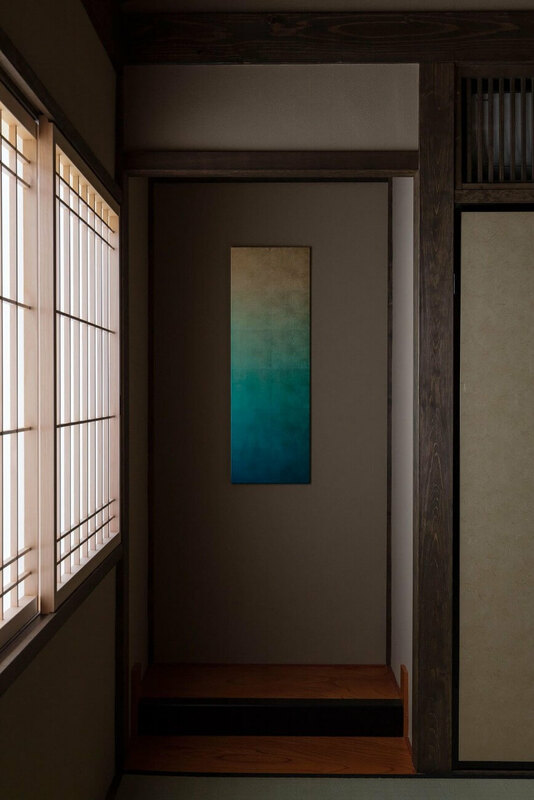 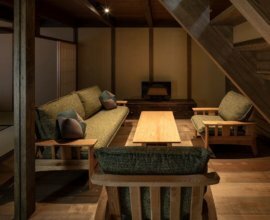 From the tokoma art alcove, to the delicate, light-coloured wooden ceiling and tatami flooring, surround yourself in Japanese tradition. 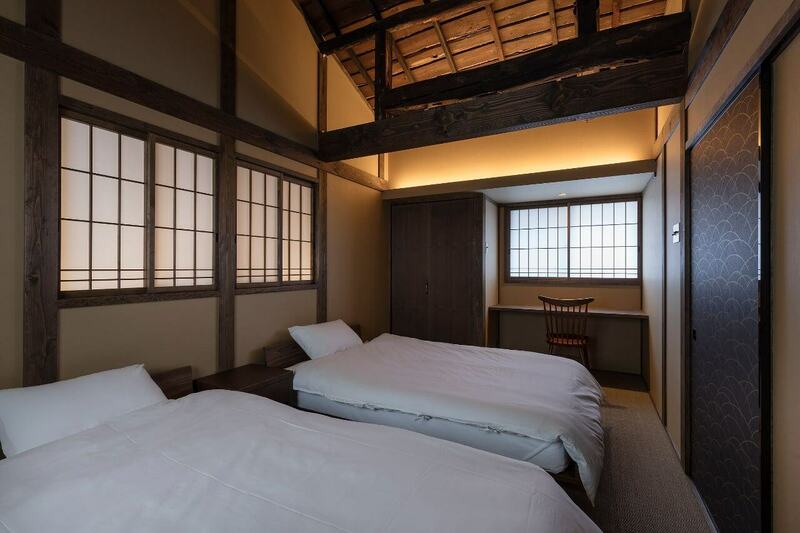 Western-style bedroom Soft lighting illuminates the details of the original high ceilings. 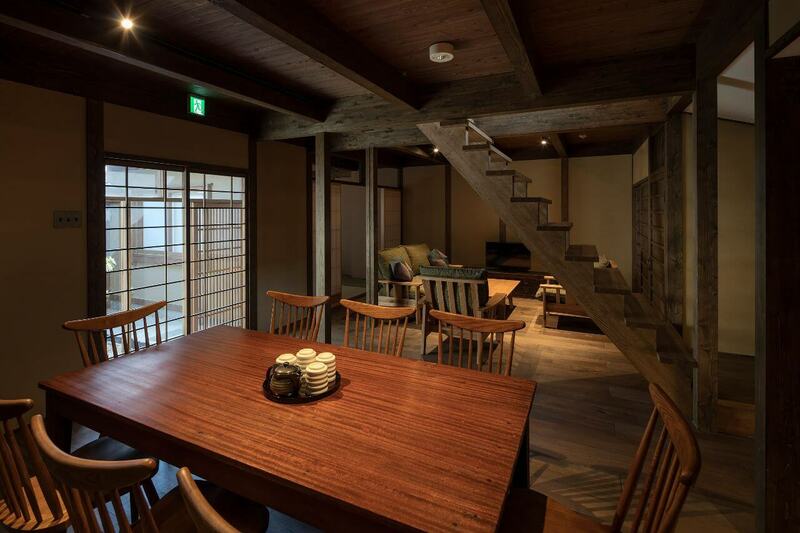 The large wooden beams and exposed ceiling allow you to enjoy the traditional architecture. 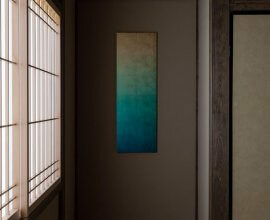 Bathroom Glazed ceramic tiles that are reminiscent of Japanese pottery adorn the bathroom. 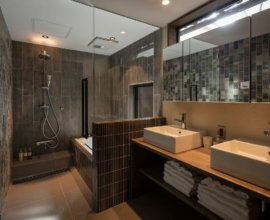 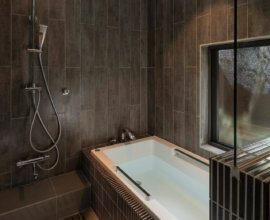 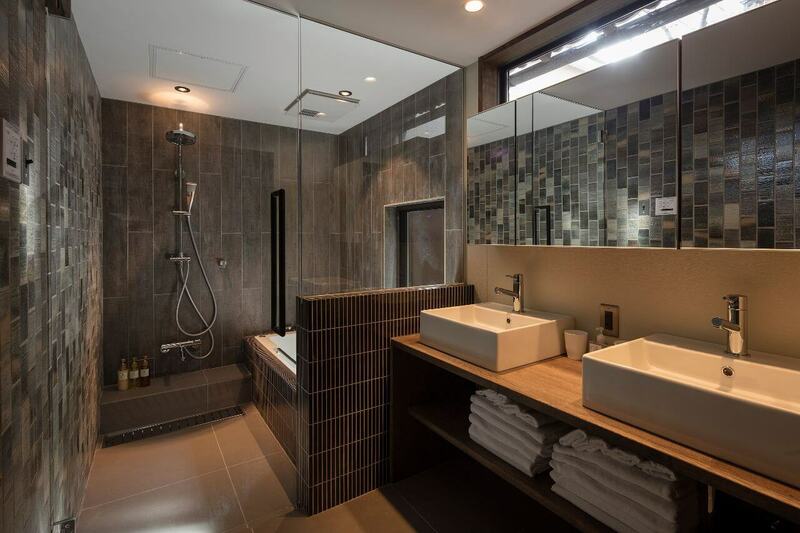 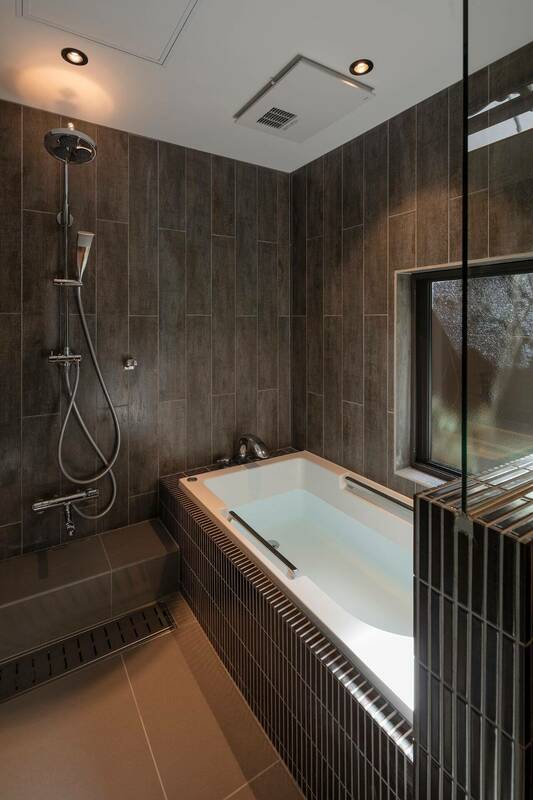 The rainfall shower and bathtub that looks out onto the garden is the perfect place to relax. 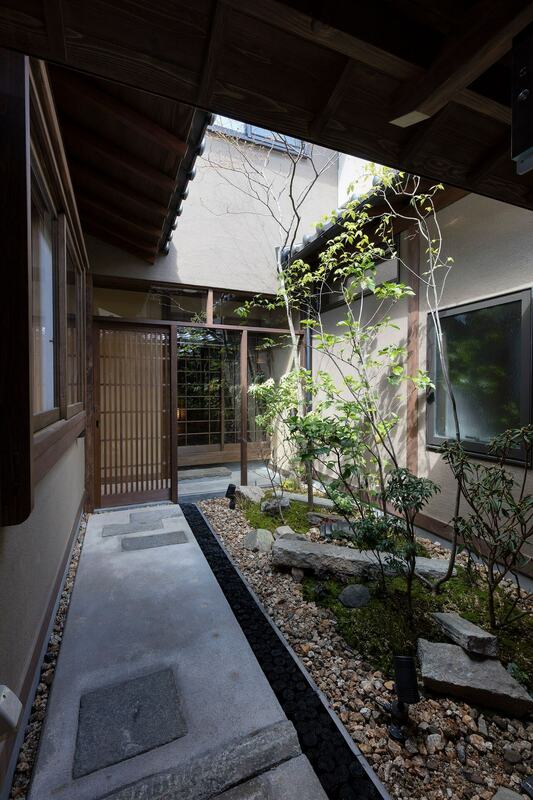 Found in a tranquil neighborhood, a 9-minute walk from Kyoto's majestic Imperial Palace. 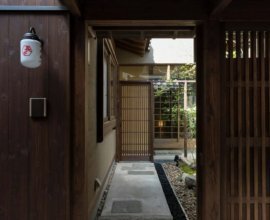 Discover this machiya down a quaint residential alleyway, just steps away from Kyoto’s city center, and surrounded by the bustling and exciting city life. 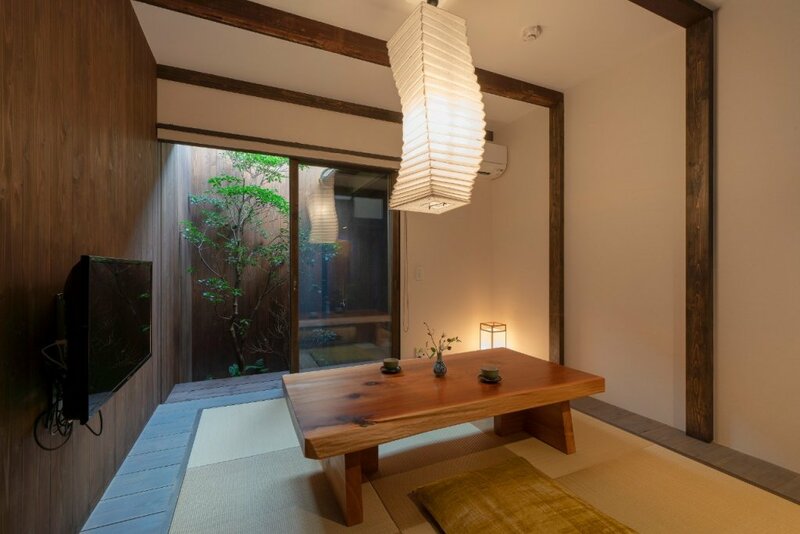 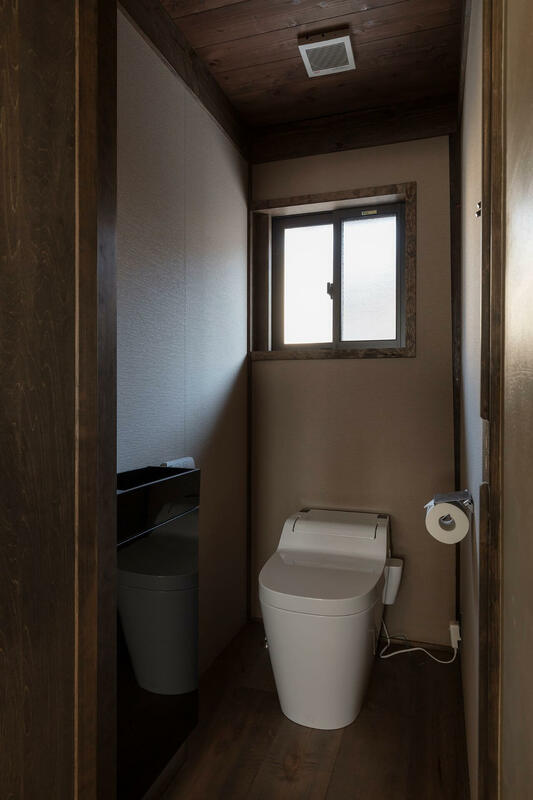 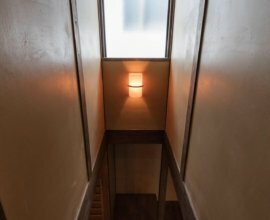 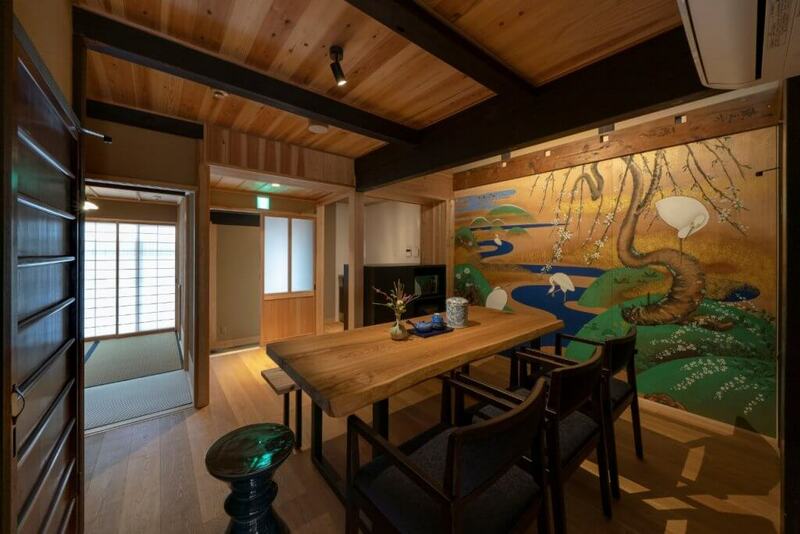 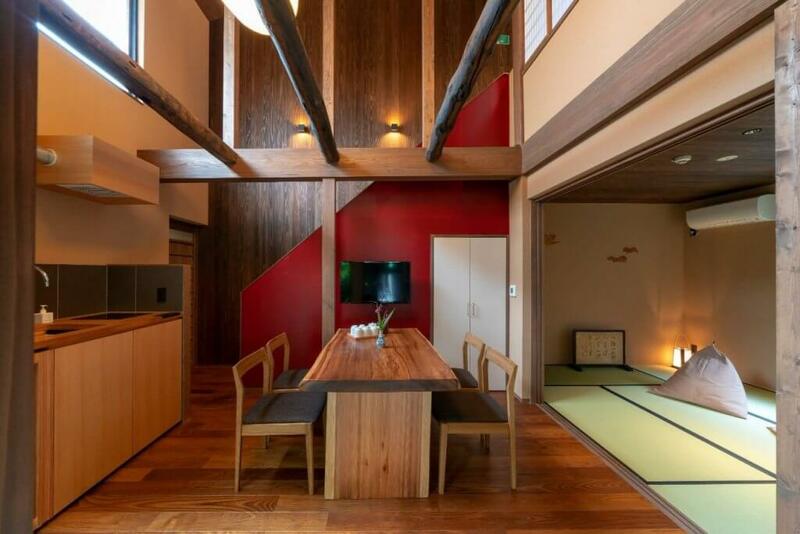 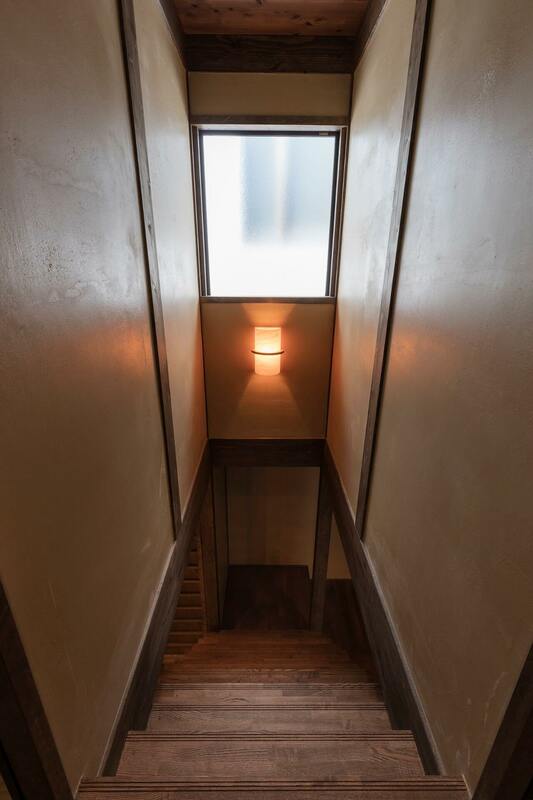 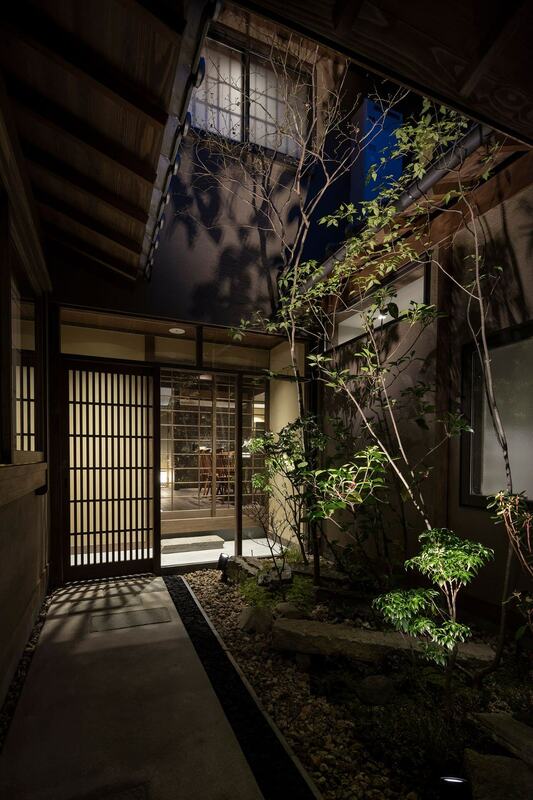 This machiya house is situated 10 minutes west of the Kamogawa River, 13 minutes east of Nijo Castle and 9-minutes from north of the Sanjo city center. 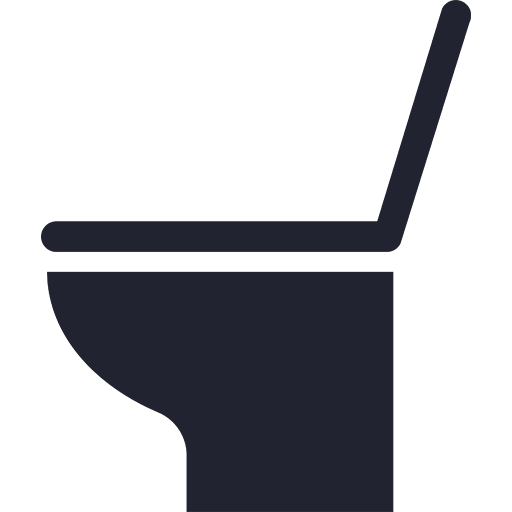 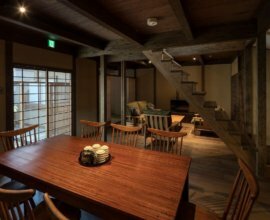 Supermarkets, convenience stores, and restaurants are all within walking distance, as are Kyoto's most popular sightseeing attractions. 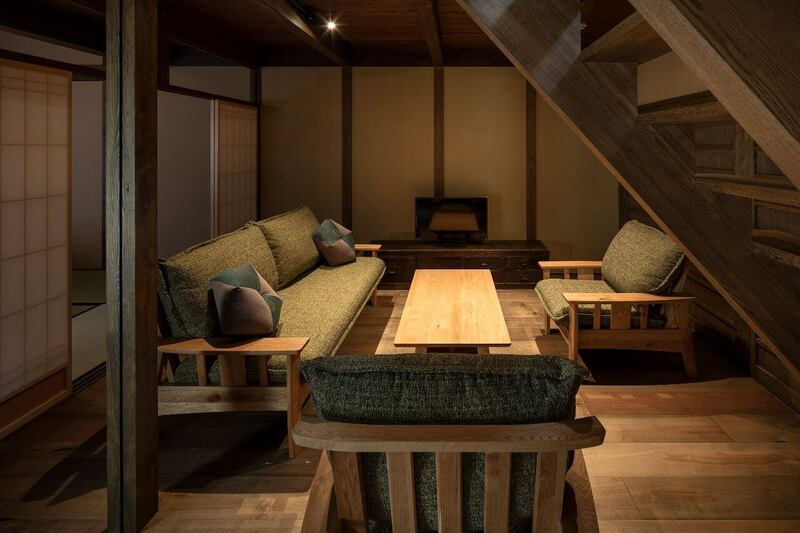 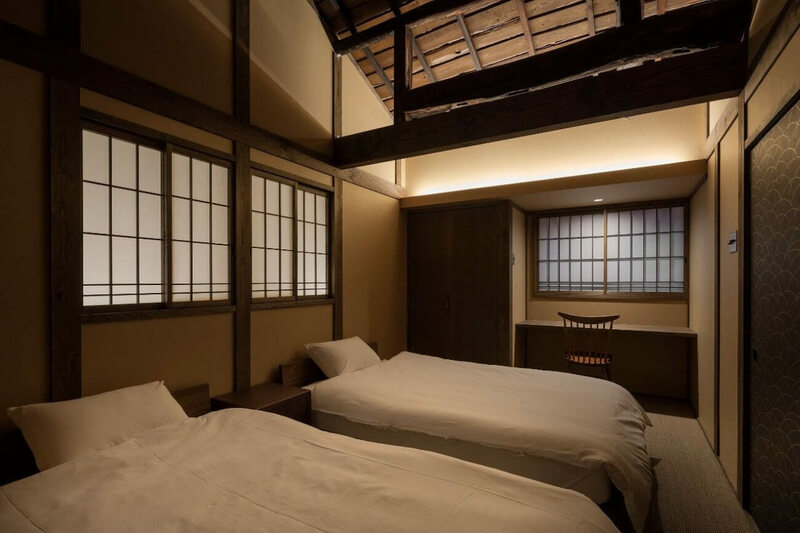 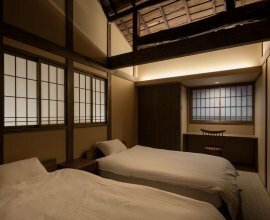 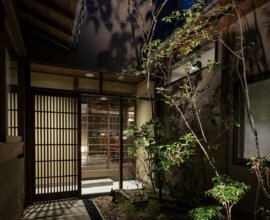 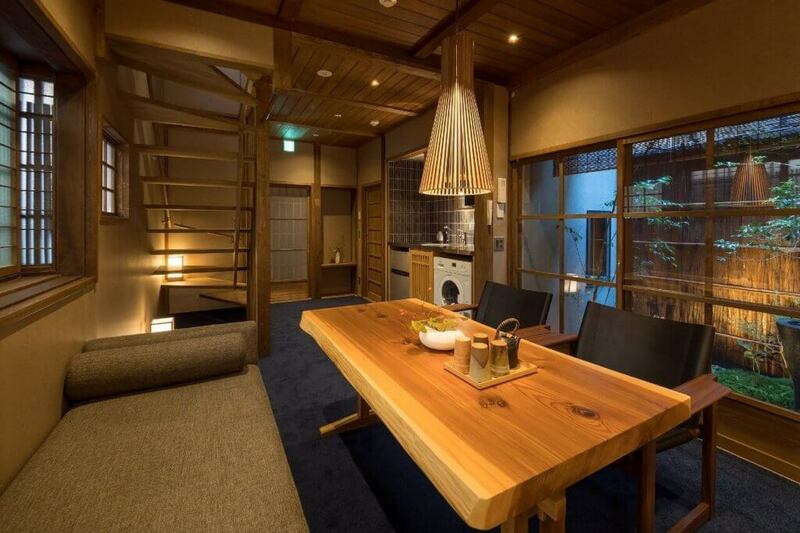 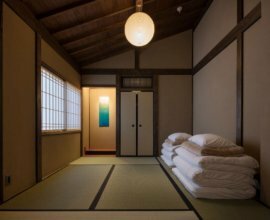 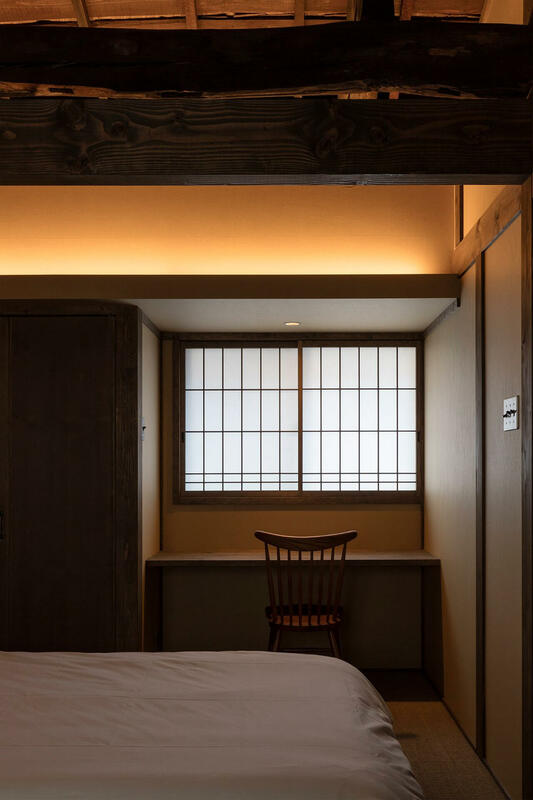 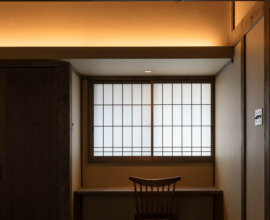 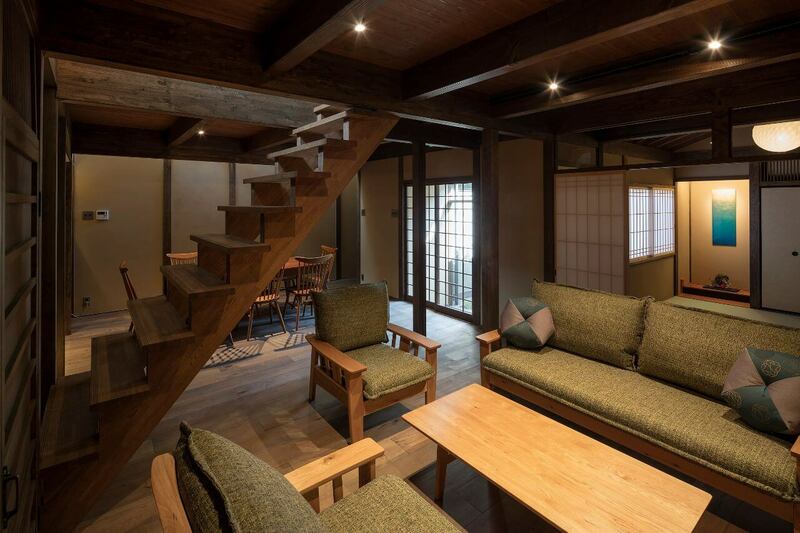 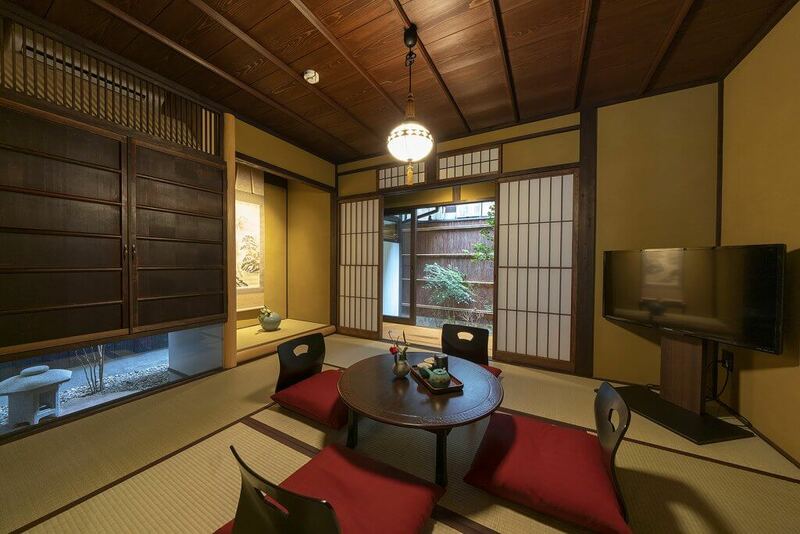 A neighborhood steeped in history --make your time in Kyoto even more unforgettable by staying in "Choya Gosho-Minami" machiya house.